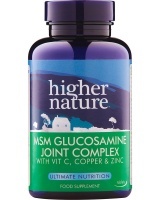 MSM with Glucosamine hydrochloride, Vitamin C and plant nutrients to help maintain flexible muscles and joints. 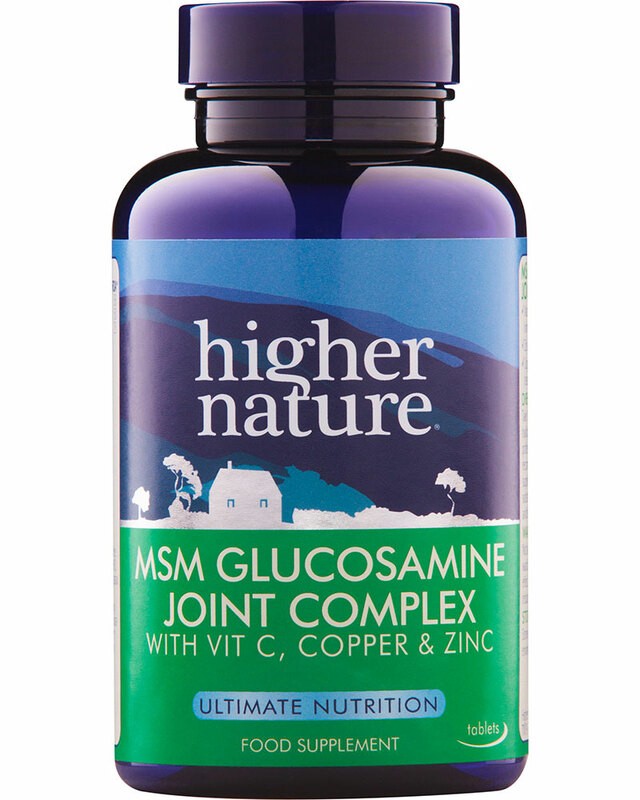 MSM helps maintain healthy, flexible joints and is important for normal bone, cartilage and connective tissue formation. Glucosamine, an amino sugar, occurs naturally in the body where it forms part of connective tissue and helps maintain joint and cartilage function. Celery seed, Nettle, Ginger, Ginseng and Kelp are good sources of plant nutrients, which help maintain healthy, flexible joints. Ginger may help with inflammatory responses and healthy muscles. Nettle helps to maintain flexible joints, muscles and tendons, and support vein circulation and bone health. Panax Ginseng contributes to normal blood circulation. Boron may help maintain joint health and is important for normal bone structure. Copper is needed for connective tissue structure. Zinc helps support joint function, and is needed for strong, healthy bones and muscles. 450mg MSM, 150mg Glucosamine (from 180mg Glucosamine hydrochloride), 75mg Celery seed, 75mg Nettle leaf, 75mg Ginger root, 30mg Vitamin C, 15mg Panax Ginseng, 5mg Zinc (citrate), 5mg Kelp, 250µg Copper (citrate), 250µg Boron.